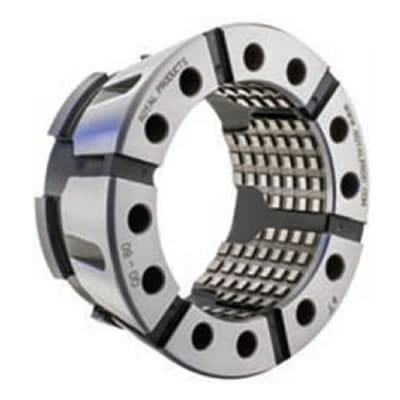 Royal Quick-Grip™ Collets » Rovi Products, Inc.
Industry-leading 0.062″ Gripping Range – greater than other quick-change collets on the market and more than 12X that of traditional spring collets. Ultra-Precision Accuracy – 0.0002″ TIR or better guaranteed on round-bores. Total system accuracy (chuck + collet) of 0.0004″ or better. 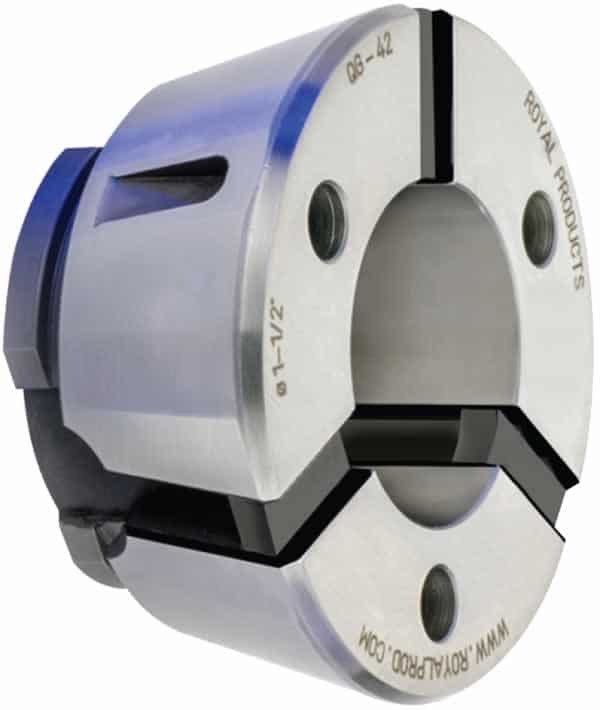 All Royal Quick-Grip™ Collets are designed for minimal projection beyond the chuck face (≤ 0.020″) for optimum rigidity and machine work-zone utilization. All models have a smooth gripping surface, but round-bores are also available in a double-serrated version for very aggressive first-op machining. Vulcanized rubber between the hardened steel collet segments provides outstanding protection against coolant and chip penetration, and Royal’s advanced vulcanization process carries a lifetime guarantee against failure. Collets can be counter-bored for increased capacity. Royal Quick-Grip™ Collets are compatible with some other brands of quick-change collets, but note that the QG-80 models have a six-slot design (for increased gripping torque) that requires the use of a Royal installation tool. Call us to verify compatibility. Custom sizes, shapes, and extended-nose versions available as quick-ship specials. Collet segments can also be carbide-coated for extremely harsh applications. Royal Quick-Grip Collets are precision-ground to nominal size, with a gripping range of +/- 0.31″ to handle undersized/oversized stock. 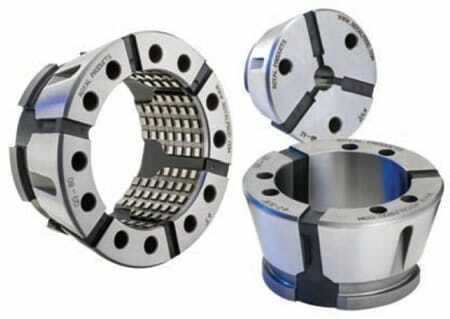 Example – a ½” collet is ground to 0.500″ dia., and can hold any part ranging in size from 0.469″ – 0.531″ dia. Thousands of Round, Hex, Square, and Emergency Collets IN STOCK for fast Shipping! * The unique six-slot design of the Royal QG-80 Quick-Grip™ collets provides increased workpiece contact over the entire gripping range for superior gripping torque over other brands. ** Counter-boring collets is a special operation and it is important to note that the maximum counter-bore diameter varies with depth. Please select the product line that you are interested in from the links below.